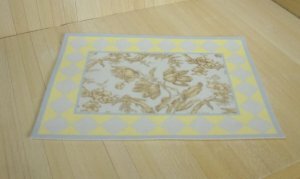 Blue toile rug with wide blue and yellow checked border, printed in Suede paper. Exclusive to The Miniature Cellar. Made in the U.S.